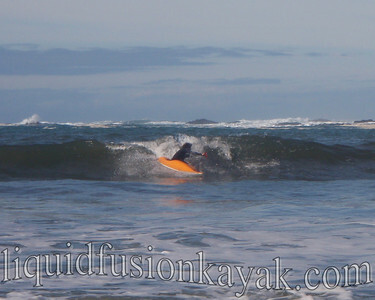 Whales, waves, whitewater, and wind - sounds like March in Mendocino County. 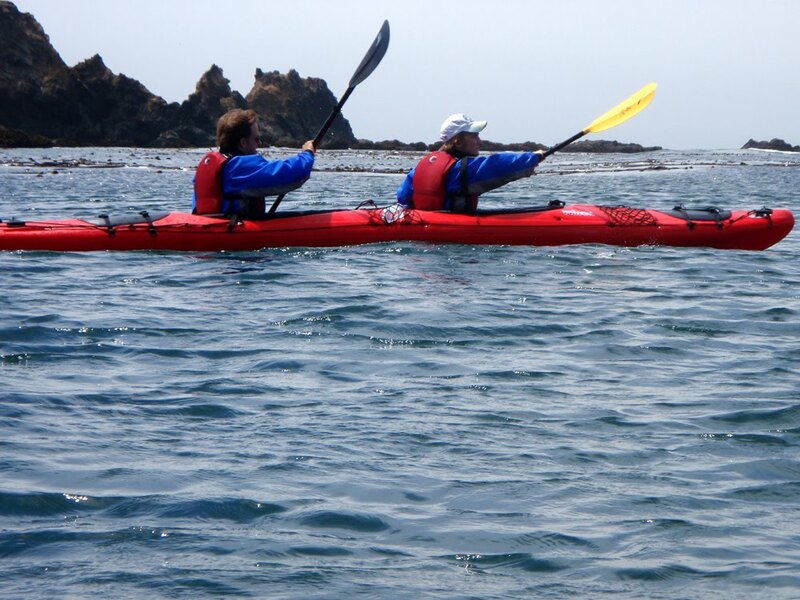 The Pacific Gray Whales are migrating along the coast of California back to northern waters. They are returning from calving or mating in the lagoons and waters of Baja. We enjoyed a spectacular southerly migration in January and enjoyed regularly seeing several in February who appeared to be hanging out here. Just last week, we started noticing pods moving northward. It is estimated that between 18,000 and 23,000 Pacific Gray Whales pass by the towns of Fort Bragg and Mendocino on their migration. Wow!!! That's a lot of whales!!! No wonder our area celebrates their migration each year with whale festivals. We enjoy watching them from land and from sea. 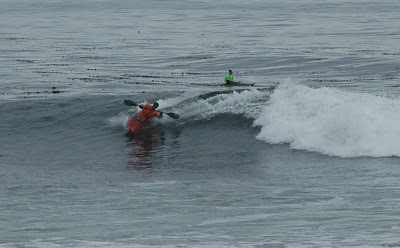 Of course a kayak is our favorite place to see them; however, waves, whitewater, and wind often have us playing elsewhere. The Point Cabrillo Lighthouse, Todd's Point, and Mackerricher State Park are our favorite terrestrial viewing points. 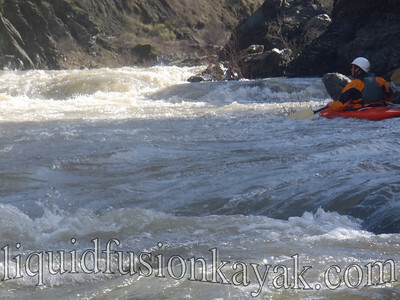 Speaking of waves, wind, and whitewater. Our coastal winds are supposed to settle down this afternoon, and we are hoping to find some surf. 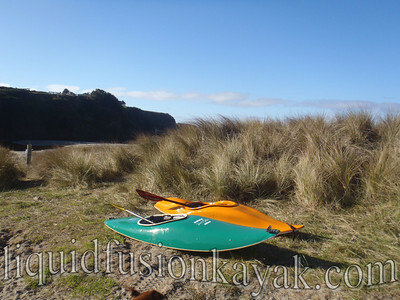 February had us in our sea kayaks a little more than usual, and we are feeling a little rusty in our surf kayaks. Regardless of whales, waves, whitewater, or wind, we need to get the rust-out and ready for the upcoming 25th annual Santa Cruz PaddleFest. 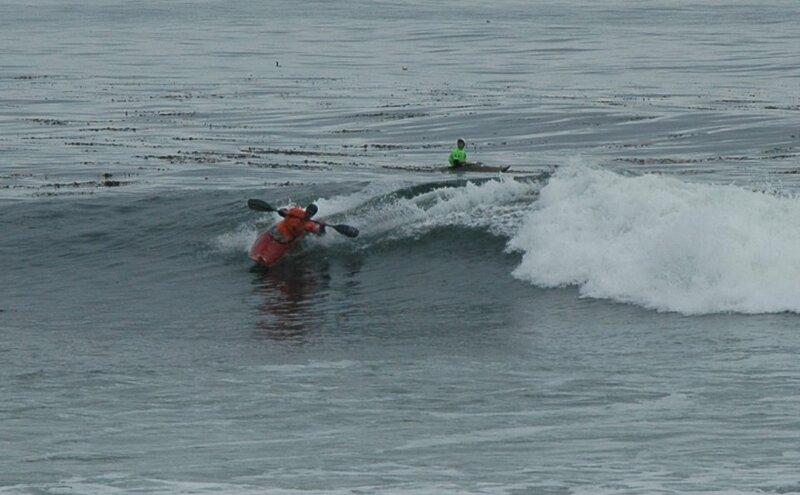 If you are interested in kayak surfing, be sure to put this one on your calendar. However, the Eel has been flowing. 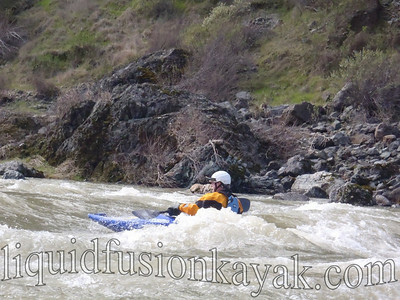 So much for kayak surfing focus, the Eel is calling my name this week, and Jeff is heading north to the Redding area to teach a whitewater class (and of course do a couple of runs while in the area).